On Monday, December 2 (from 12:01 a.m. to 11:59 p.m. EST), send up to four applications (one for each of your desired mentors — see below) to brendadrakecontests@gmail.com. The mentors will read all of their applications and choose the writer they want to mentor for the next five weeks. The agent round will take place January 22-23. How do I format my application? As taken directly from organizer Brenda Drake’s website, format your application according to the following. Query letter here (embedded in email). Single spaced. No indentations. A space between each paragraph. First five pages of the manuscript here (embedded in email). Single spaced. No indentations. A space between each paragraph. – Writers can only apply for mentors who are in their category. Applications that disregard this will be deleted. – No nonfiction, picture books, or previously published works. – The contest is open to finished manuscripts only. – You may only enter one manuscript. – And just to reiterate: Write four separate emails addressed to each of your chosen mentors, not one email for all four. And send those emails to brendadrakecontests@gmail.com, not the mentors directly. 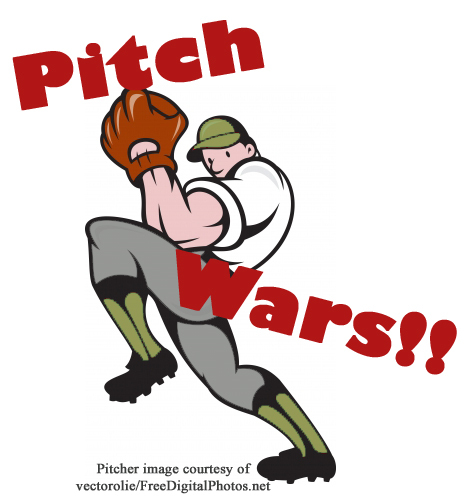 – If you are chosen for Pitch Wars, you may not enter any other contests until after the agent round. You may enter Baker’s Dozen. Each mentors will also pick two alternates in case, for some reason, their writer drops out. For more details or see what else organizer Brenda Drake is up to, please click here.